Editor’s note: This one's just in time for Wimbledon fans. 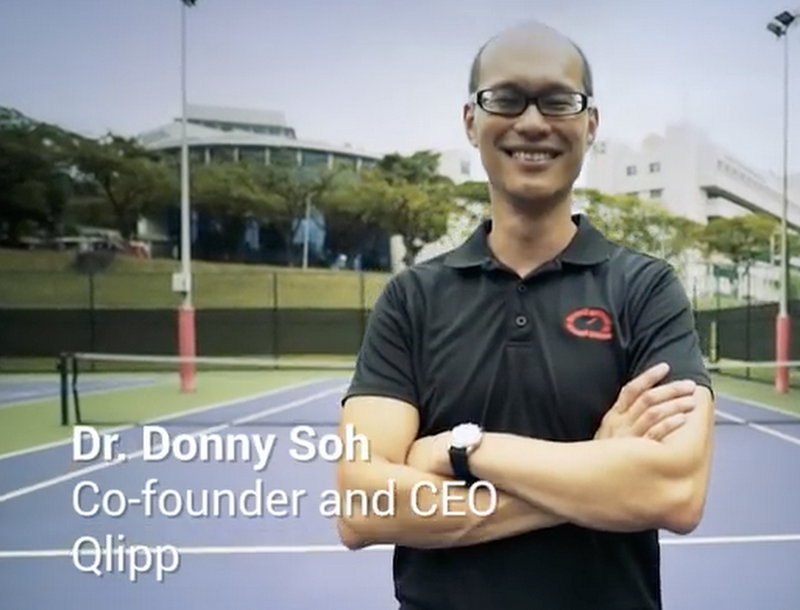 As part of our series of interviews with entrepreneurs across Asia Pacific who use the internet to grow, we spoke with Dr. Donny Soh, co-founder and CEO of QLIPP, whose six-person startup developed a tennis sensor and mobile app to help players track and improve their performance in real time. Tell us, what inspired you to become an entrepreneur? I’ve always wanted to build my own products—products that people would find useful. That’s what drove my decision to leave my job as an engineer in another company. 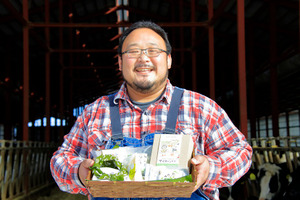 I come from a very traditional family with a humble financial background, so my relatives were surprised when I told them about my plans to start my own business. I’ll admit being an entrepreneur does have its financial ups and downs, and one can’t expect success to come easily. I believe the key is to always press on regardless of whatever difficulties one faces. What does a tennis performance sensor actually do and how does it help your users? QLIPP fits on any racquet and measures every part of your stroke, analyzing the spin, speed and sweet spot accuracy of each shot. It syncs to your phone, so you can easily access the data to track your game and improve over time. We currently have over 7,000 users, most of whom are in the Americas and Europe. While many tell us it’s the best tennis sensor they’ve ever used, we’ve also had negative feedback. We welcome all feedback and whenever we see negative comments, we use them as suggestions to improve. Over this past year, the feedback has helped us create a much better product. We’re a small startup with limited resources, but we have big dreams to reach out to tennis players all over the world. 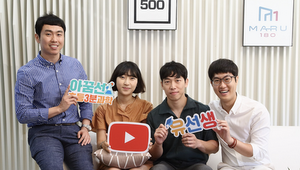 Using Google Search ads and YouTube video ads, we’re able to bring our products to life and reach the right customers overseas—this has really magnified our potential customer base beyond those living in Singapore. For example, we worked with Google to target the top 10 tennis-playing states in the United States, resulting in a ten-fold increase in web traffic and a 30% increase in sales in just three months! Since we adopted digital tools, 90% of our company’s sales now come from overseas. 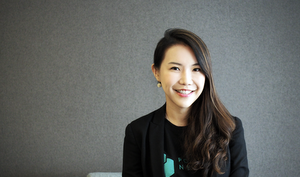 What are some of the biggest challenges for a startup in the Internet age? “How can you get your message out?” That’s one of the big challenges. There’s so much information out there. This is where Google’s tools help us a lot. We conduct user surveys using Google Forms. We also use another tool known as Firebase, which helps people build better mobile apps and run them as a business. That’s how we’re able to identify the features users love and understand how they interact with the QLIPP app. We also use Google AdWords to drive both traffic, downloads, and sales too. We’re aggressively moving into other sports. I would say in two years, we would have to have a strong brand presence on at least three sports. Ultimately, we aim to be the go-to company for all sports wearables. Who’s your Asian Internet hero? Jack Ma. He has a great quote: “Never give up. Today is hard, tomorrow will be worse, but the day after tomorrow will be sunshine.” What really inspires me is his persistence. But it doesn’t take much to find heroes all around us. One of my early inspirations was my neighbor. She lost the use of her legs and had to move around in a mobility vehicle. Yet everyday, she brought her three kids to school and went to the market. In the evenings she would sell newspapers. Whenever I think of her, I’m inspired. No matter what situation I am in, there will always be a way forward.